Our members and supporters have had a busy month with two events raising money for PCSA Kent. 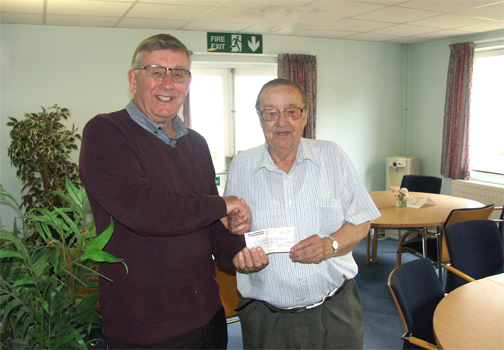 Picture above at our May meeting is PCSA Kent Chair, Terry Laidlaw, and member Derek Russ representing Dover Skittles who raised a splendid sum of £335. At the same meeting Graeme Peterson presented Terry with a cheque for £500 with money raised from an auction at the Farriers in Mersham for tickets to the British Grand Prix.